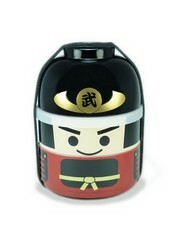 Second-hand product, almost new condition, only light scratches on left hand (see last picture). 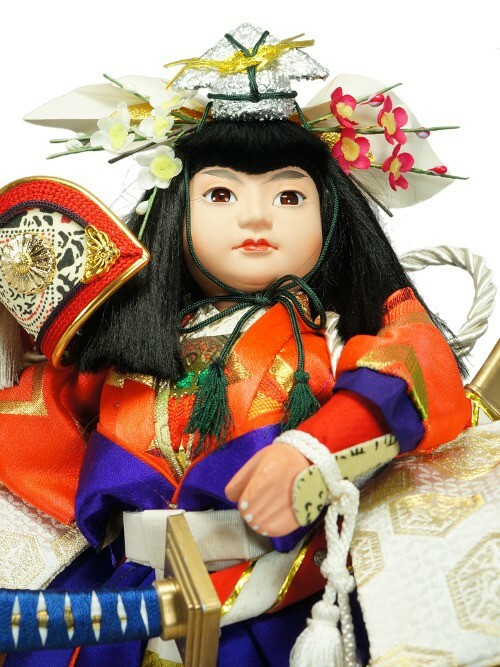 This beautiful doll is a Gogatsu-Ningyou (May's doll) which means that it is exposed in the japanese houses only May the 5th for Children's day. 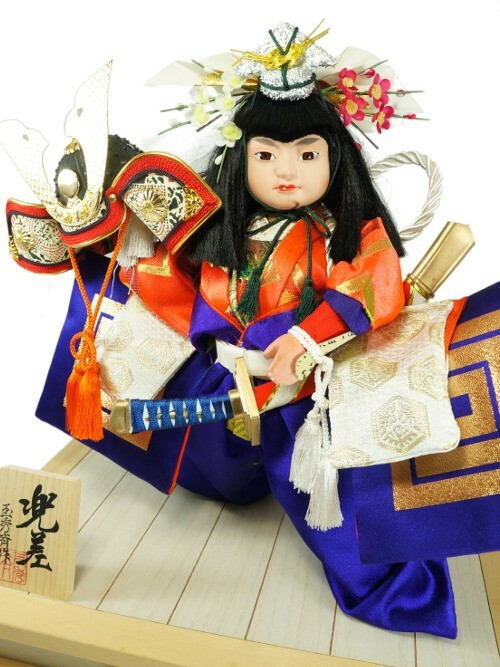 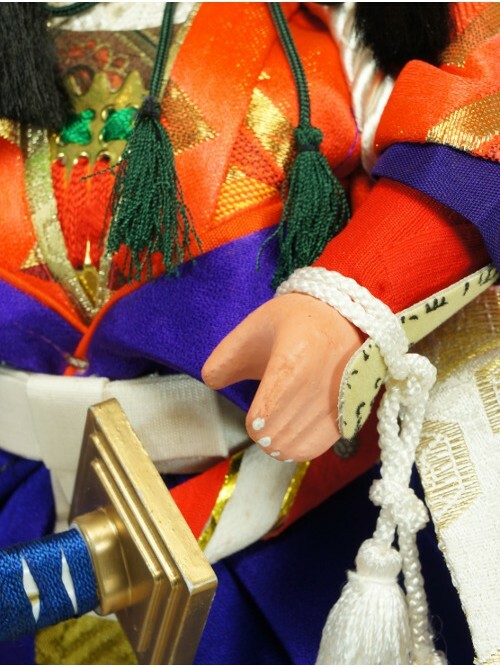 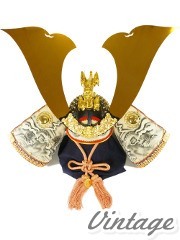 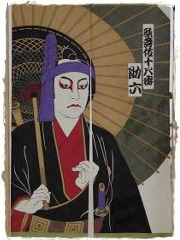 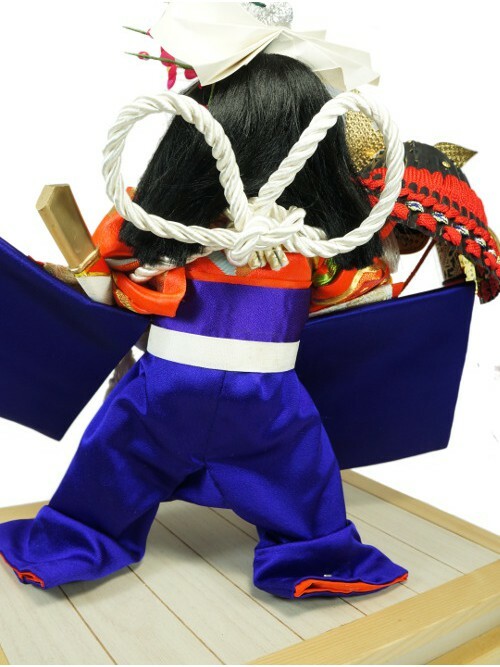 The doll is inspired by a very famous Kabuki play "Shibaraku" and by its symbolic character "Kamakura Gongoro Kagemasa", Samurai from Heian Era (794-1185) known for his bravery. 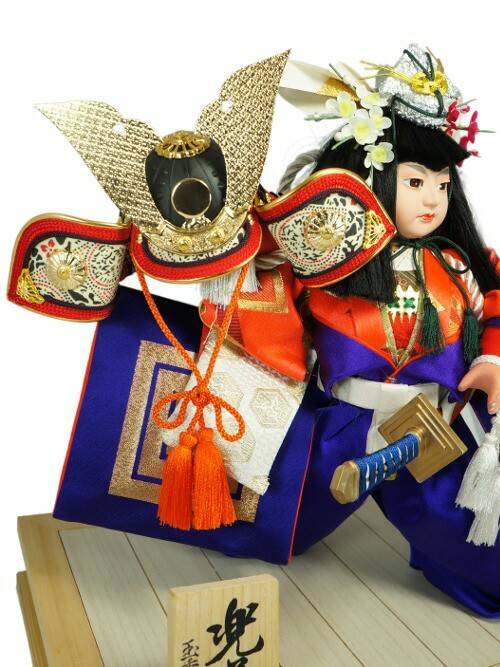 Dressed in an absolutely gorgeous costume with a headdress called "Chikara-Gami" brighten up with flowers and a long trousers called "Naga-bakama". 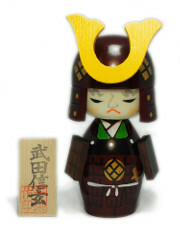 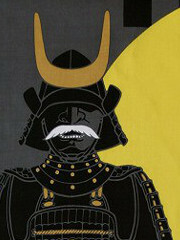 The doll also holds its helmet "Kabuto" in its hand. 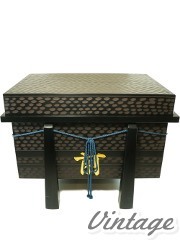 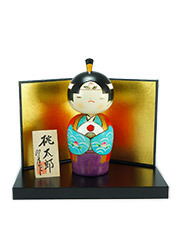 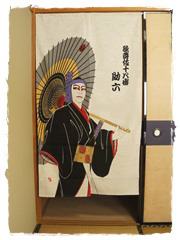 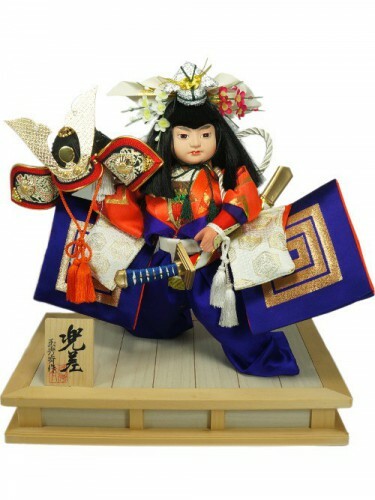 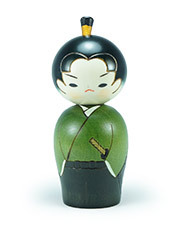 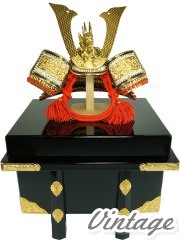 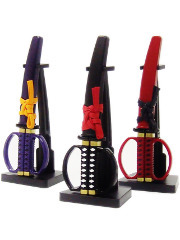 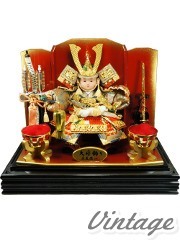 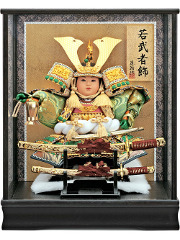 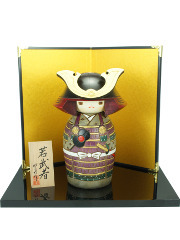 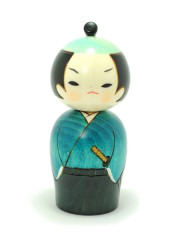 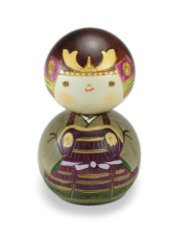 This doll will perfectly find its place in your house by giving a traditional japanese touch !